Halifax, Nova Scotia surgeons wanted to assess the predictive value of measured graft flows on early and medium-term outcomes. Over the course of three years they measured flow intraoperatively in 985 patients at a single institution. Abnormal flow values were defined as having a PI >5. Patients were followed up to 1.8 years after discharge. 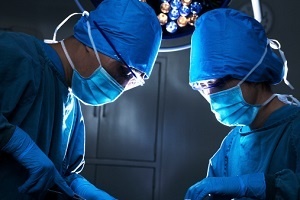 They found that 9% of patients had abnormal flow values in more than one graft, but that 90% of all graft problems were surgically correctable once they were identified. 45% of the graft problems had to do with anastomotic issues. The overall in-hospital mortality was 4.7%, but was not significant between the group with abnormal flow values and the group with normal flow values. Yet, patients with abnormal flow values, after adjusting for covariates, were almost twice as likely to have an in-hospital adverse cardiac event than those with normal flow values (31% vs. 17%). Nevertheless, abnormal flow was not an independent predictor of the medium-term mortality and readmission to hospital for cardiac reasons. The surgeons concluded that their findings suggest that abnormal flows measured intraoperatively are independently associated with short-term in-hospital adverse outcomes.